“Tired of the boring, same old board games? Put on your creative caps as you join board game enthusiasts in this thrilling party game. Tired of the boring, same old board games? Put on your creative caps as you join your new-found friends in this thrilling party game. In mixed gender teams, hunt down the werewolves or conspire to eliminate all of the humans. 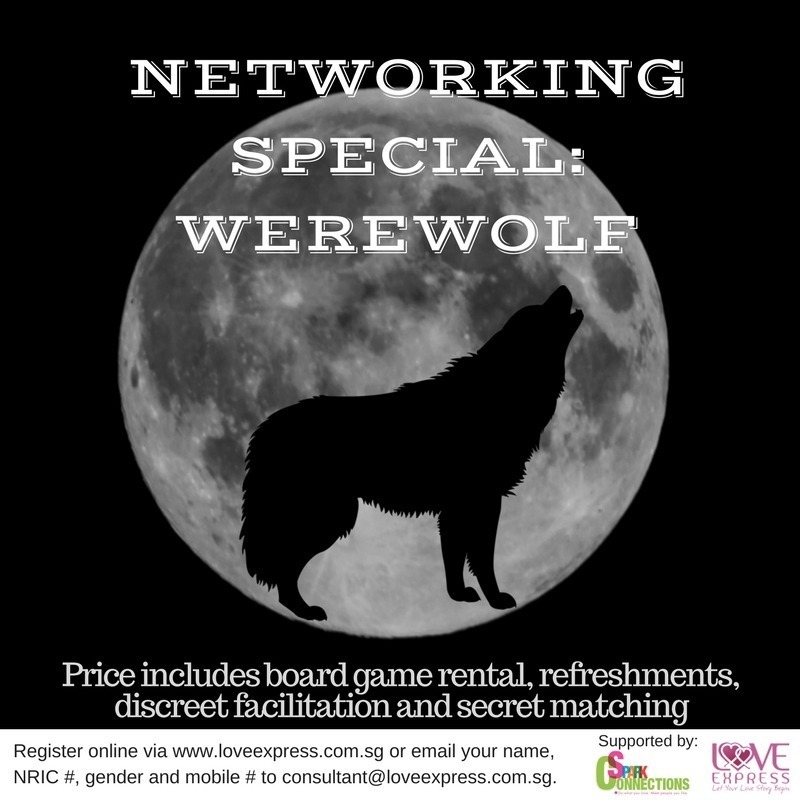 Price includes board game and workshop rental, refreshments, discreet facilitation and secret matching (if there is a mutual match, contacts will be released to both participants).